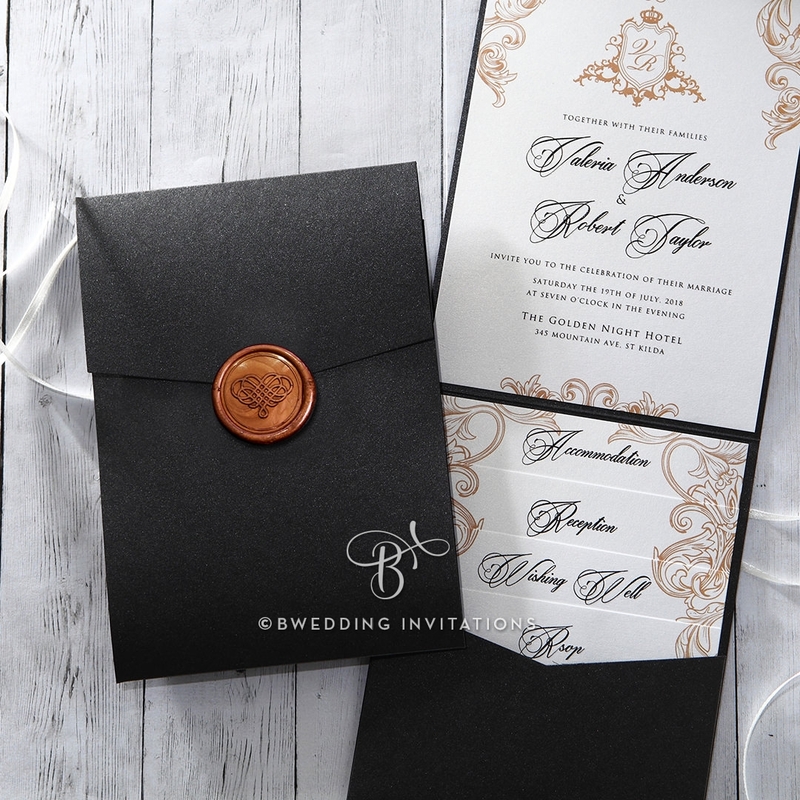 Your elegant wedding is perfectly represented with this beautiful black pearlized invitation. 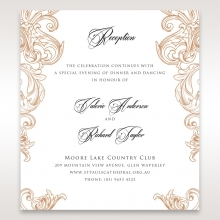 The trifold card opens to reveal an insert and pocket with your RSVP card and other enclosures. 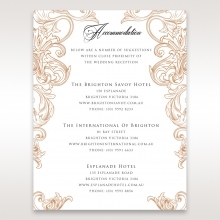 The pocket folder is held closed with an elegant golden seal. 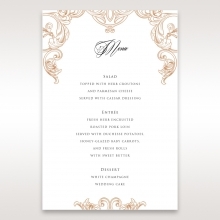 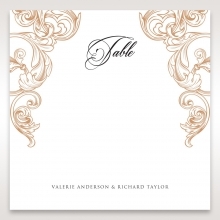 You can choose the color for your insert, which will convey your wedding details in classic raised ink. 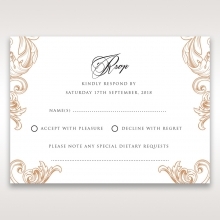 The invitation is stamped with gold ink for added formality. 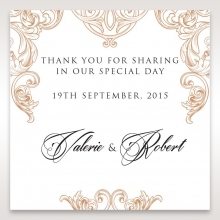 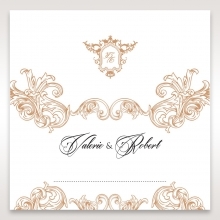 The coordinated Stationery Suite is also stamped with matching filigree to tie the whole look together. 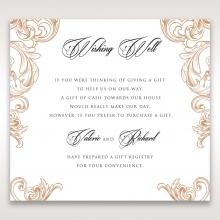 The text, fonts, and layout are all fully customizable. 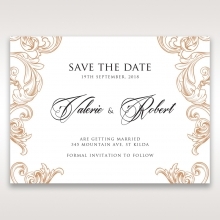 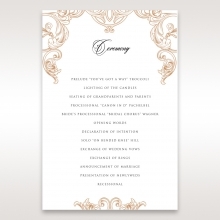 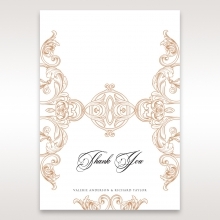 This invitation is a formal introduction to a classic wedding.